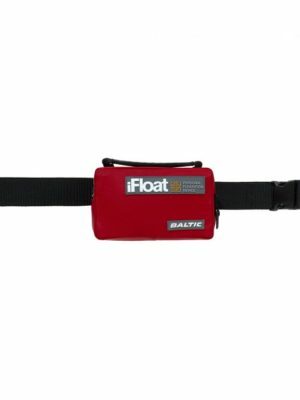 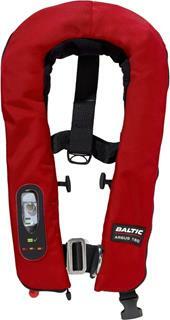 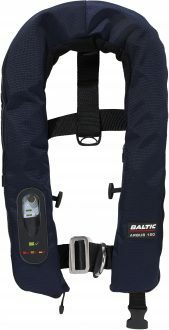 With clear colour indicators to show when it needs to be recharged and a wide crotch strap that can also be stored in the inside the lifejacket if not required. 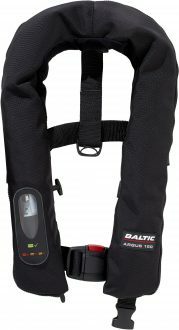 The Argus Pro has a waistband with buckle, comfortable fleece-lined collar and mouth inflation/deflation tube. 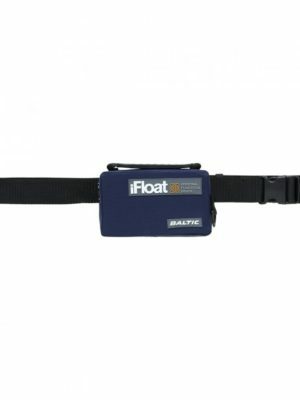 Six retro-reflective patches whistle and grab handle. 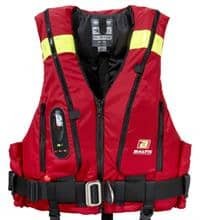 Also fitted are four toggles, three for attachment to a foul weather jacket and one inside for attaching the optional spray hood. 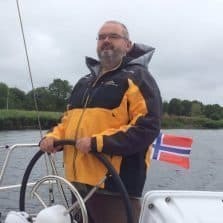 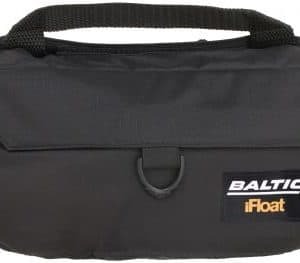 A new feature for all Baltic inflatable lifejackets is that they are now equipped with a cylinder retainer, this prevents the gas cylinder from working loose even in severe vibration and temperature extremes. The Argus Pro is also equipped with a zipped pocket that can hold a cell phone, wallet or keys.